Background: Gestational diabetes mellitus (GDM) risk factors identification and modifying them appropriately will assist in reducing the incidence of maternal and fetal complications for high-risk individuals. 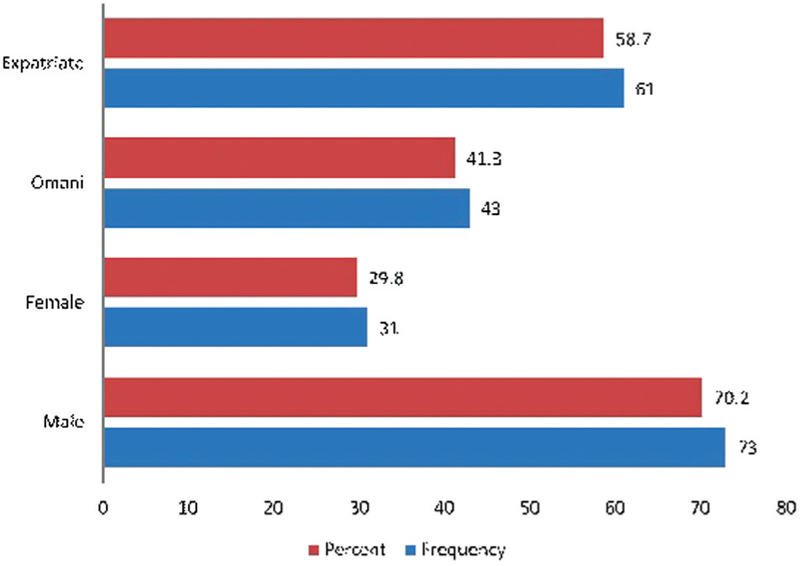 Aim: The present cross-sectional case–control multicentered study was conducted with an objective to understand the modifiable risk factors in GDM patients of different regions in Oman. Materials and Methods: The study was conducted by involving 291 women diagnosed with GDM and 300 normal pregnant women with euglycemia. Primary information including body weight, waist circumference, body mass index (BMI), history of pregnancy complications, diet, lifestyle, exercise, occupation, education, and use of steroids was collected by face-to-face interview with an assistance of staff nurse working at respective hospitals. Secondary information was collected from hospital records. 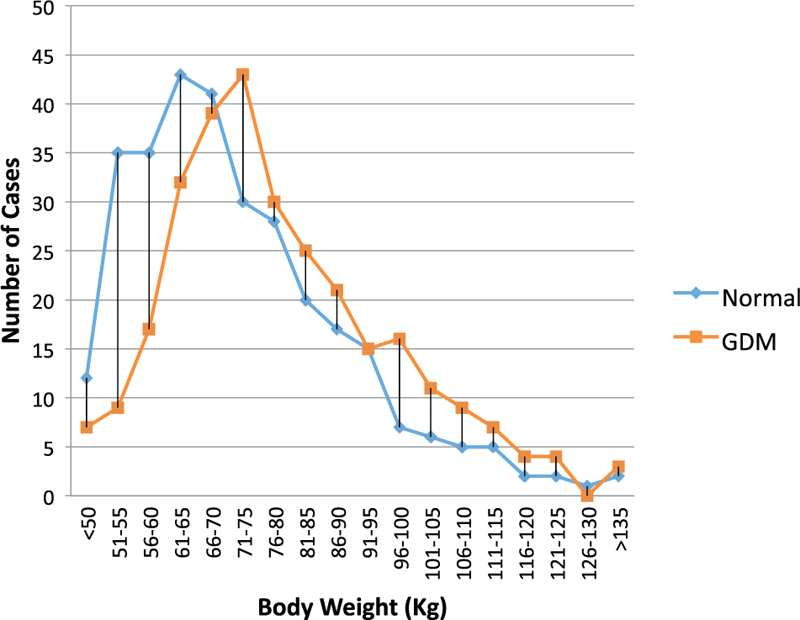 Results: GDM cases on an average have 5.47 kg body weight significantly (P < 0.001) higher than the control group. A maximum number of GDM cases were seen in women with waist circumference of more than 99.9 cm having a significant (P < 0.001) mean difference of 6.4 cm between GDM and normal population. ;Deg;BM;Deg;I of GDM population was significantly (P < 0.001) higher 30.59 ± 7 kg/m2 compared to 27.89 ± 6.93 kg/m2 of normal population with a likelihood ratio of 300.85. The use of corticosteroids significantly is seen to be associated with an increase in the incidence of GDM (P < 0.001). Physical inactivity has significantly (P < 0.001) increase the risk of GDM by 3.7 times. Whereas walking for more than 30 min/day has significantly reduced the GDM risk by 0.356 times. Prior history of stillbirth is significantly (P < 0.05) associated with GDM cases compared to control. Conclusion: Screening of patients for GDM and following a strategy to modify the identified risk factors will be advantageous and may help to identify those most likely to benefit from intervention. Background: Drug utilization studies provide information on pattern of drug prescribing and consumption, occurrence of delayed adverse effects, cost influenced sales, and the volume of prescriptions having social, economic, and medical significance. Objective: The present study was designed with an objective to evaluate drug utilization in this field of pharmaceutical care. Materials and Methods: The present study was a retrospective, qualitative, cross-sectional, drug utilization study carried out for 1 year in Accident and Emergency Department of Khoula Hospital. Results: Results of the present study indicate that majority of patients complained dizziness by 24% and pain with 50%. Most common antibiotics used in prophylaxis and treatment were amoxiclav, cefuroxime, and ceftriaxone injections. As some cases complained of severe pain, they had received paracetamol, ibuprofen, diclofenac, and tramadol. The tetanus toxin injection was given as prophylaxis in 27.9% of cases against poisoning from entry of foreign bodies. Metoclopramide and promethazine are medications given to relieve nausea and vomiting. Analysis of results on use of medications for pain management has shown a significant (P < 0.01) correlation with road traffic injuries. Conclusion: We conclude from this study that majority of patients visiting accident are noted to have minor complications due to road traffic accidents (RTAs) and are treated successfully with most common and safe medications. However, we recommend future extensive studies considering the patients admitted to Inpatient Department and Intensive Care Unit to get clear information on pharmaceutical care provided to manage RTA and their complications. Background and objectives: The present study was done to study the vitamin D status among medical students and their teachers to ascertain the intergenerational difference of vitamin D status. Materials and Methods: A cross-sectional study of 88 participants comprising 48 medical students and 40 faculty members was done. Serum 25-hydroxyvitamin D [serum 25(OH)D] level was assessed as a marker for vitamin D levels. A level of serum 25(OH)D < 10 ng/mL was considered as deficiency, 10–29 ng/mL as deficient, and 30–100 ng/mL as sufficient. Statistical analysis: Epi Info 2007 was used for statistical analysis. Chi-square test, t-test, and Kruskal–Wallis test were applied as applicable to observe the significant differences among the groups. 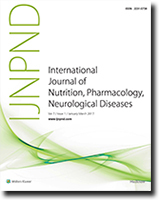 Results: In the overall study sample, 14.77% showed deficiency, 61.36% were having insufficiency, and only 23.86% were having sufficient vitamin D status. Medical students were four times more likely to be deficient compared to faculty. This difference was statistically highly significant (P = 0.003). Similarly, the mean serum 25(OH)D levels was 17.46 ng/mL among the medical students compared to the mean level of 37.07 ng/mL among faculty giving a large difference of almost 20 ng/mL. This difference was again statistically highly significant (P < 0.0003). Conclusion: Besides the overall high prevalence of vitamin D deficiency in the study sample, there was an intergenerational difference in the levels of vitamin D, indicating that the younger generation is more vitamin D deficient compared to the older generation. Dry beriberi is the development of a symmetrical peripheral neuropathy characterized by both sensory and motor impairments, mostly of the distal extremities due to deficiency of thiamine. Most dietary deficiency of thiamine worldwide is the result of poor dietary intake. In Western countries, the primary causes of thiamine deficiency are alcoholism and chronic illnesses such as cancer. At risk populations are women with prolonged hyperemesis gravidarum and anorexia, patients with overall poor nutritional status on parenteral glucose, patients after bariatric bypass surgery, and patients on chronic diuretic therapy due to increased urinary thiamine losses. We hereby report a case of thiamine deficiency (dry beriberi) caused by protracted vomiting secondary to the acute fatty liver of pregnancy successfully treated with intravenous thiamine.